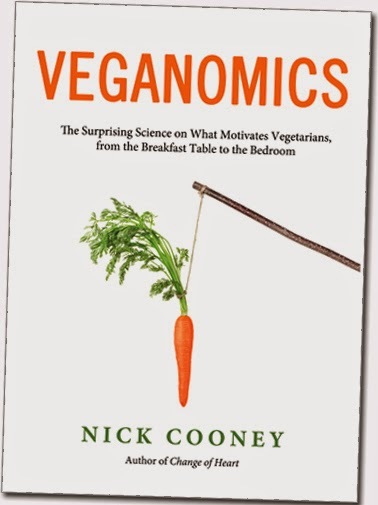 For me, the most important part of Nick Cooney's Veganomics is his opening chapter. He doesn't just repeat "feel-good" numbers (e.g., "Vegans save 296 animals a year!"). Rather, he breaks down the numbers by relative sentience, relative suffering, demand elasticity, and replacability. Of particular importance is his insight into wild fish, especially relative to farmed fish. As I discuss here, understanding these numbers are just as important as understanding the psychology of personal and social change. Thanks to Nick for letting me serialize his first chapter. Here is part 1, the numbers; tomorrow, the implications. So does being a vegetarian really help animals? And if so, how many animals—and what kinds of animals—does it help? Not only are the answers surprising, they also have major implications for anyone who wants to promote vegetarian eating. By the way, in this book we’ll use the phrase “vegetarian eating” and not “vegan eating” for two reasons. First, nearly every study we refer to focuses on vegetarians. The results might apply to vegans, and to promoting vegan eating, but we can’t assume that. It also would be impractical to use the phrase “vegetarians and vegans” in every sentence. “Vegetarians” is a simpler term and it covers both vegetarians and vegans. As you’ll see though, our hope is the public will cut all cruelty out of their diet—including eggs and dairy. How Many Animals Does a Vegetarian Spare? Most of the shellfish—such as shrimp, crabs, lobsters, and squids—are eaten directly. Some wild fish are consumed in the same way, but many are fed to farm-raised fish to help fatten them up. If those numbers of fish seem high to you, keep in mind that many fish—such as anchovies—are very small. Looking at the number of animals killed for food, we see a surprising picture. When most people think about food animals, they envision a cow. But far more fish are killed for food than any other type of animal. And when it comes to farm animal deaths, chickens easily rule the roost. For every cow they eat, Americans eat 190 chickens and kill over 1,400 fish. For every pig they eat, Americans eat 60 chickens and kill over 450 fish. The disparity is even larger when we look at specific animal products. In their entire adult life the average American omnivore will cause the death of only about two dairy cows, eight beef cows, and 30 pigs. But they’ll kill about 80 farm-raised fish, 120 egg industry hens, and a whopping 1,680 broiler chickens. If you can bear to see the astronomical numbers for wild fish and shellfish, here they are: over their entire adult life, the average American meat-eater is responsible for the killing of over 13,500 wild fish and 9,060 shellfish. Just what do these numbers mean for those who want to promote vegetarian eating? If vegetarian advocates want as many individuals as possible to be protected from cruelty, an important lesson is: focus on getting the public to give up chicken, fish, and eggs. Cutting out red meat is a valuable goal, but if that is all a person does they will spare less than one animal per year. If they replace that red meat with chicken or fish, they will actually be harming many more animals. On the other hand, by simply eating half as much chicken flesh as they used to a person can spare 14 farm animals per year. A person who gives up eating chickens entirely—even if they replace all of the chicken they used to eat with beef and pork—will spare 27 to 28 animals. If the entire country did that, the number of farm animals killed each year in the U.S. would drop from about 8.5 billion to 1 billion—even though Americans will be eating as much meat as they did before. Eating fish appears to kill an even larger number of animals. As we saw earlier, about 225 wild fish are killed each year for the average meat-eater’s consumption. But a person who stops eating fish doesn’t actually prevent 225 fish from being killed. Why? Because most fish are omnivores—they eat other, smaller fish. So if humans did not eat a wild-caught tuna fish, that animal would be eating hundreds of other fish. As a result, we don’t know the number of wild animals impacted when a person stops eating fish. The number of animals’ deaths we’re responsible for might not be what’s most important to vegetarian advocates. Perhaps the main concern should not be the number, but the amount of suffering that’s caused. In that case, priorities shift. Vegetarian advocates need to consider not just the number of animals killed but also how badly each animal suffers, and how long that suffering goes on for. If reducing animal suffering is the main concern, then considerations about fish become less important. For most wild fish, the point of slaughter is the only time at which humans impact their existence. Most farm animals, on the other hand, endure a lifetime of misery. They are strictly confined on factory farms, and selective breeding causes them painful physical problems. Only farm-raised fish suffer to the same degree. Shellfish also take a back seat when we focus on the suffering of animals. Like fish, most shellfish come from the wild and their death similarly is the only occasion we affect their lives. And some shellfish, such as oysters and clams, are species that may not feel pain. We can calculate the number of days each farm-animal species suffers because of the average meat-eater’s diet. For example, since the average American eats half of a pig each year, and a pig lives for 180 days before being slaughtered, the average pork consumer causes 90 days of pig suffering per year. How do animal products stack up against one another when measured this way? In terms of days spent suffering per year, the average meat-eater generates about 1,100 days of misery for chickens, an entire year for egg-laying hens, 120 days for turkeys, 90 days for pigs, 23 days for beef cows, and 12 days for dairy cows. Depending on what species of fish they eat, the average American also causes between 355 and 2,470 days of farmed-fish suffering each year (Farm Animal Welfare). But we can’t just stop there. We still have to factor in how severely each animal suffers. For example, it is likely that an egg-laying hen experiences a lot more agony than a cow raised for beef. Egg-laying hens are kept for their entire lives in dirty wire cages so small they can barely turn around. Beef cows typically spend most of their time roaming open pastures. They aren’t intensely confined until the last few weeks or months of their life. Although Shields’ ratings are lower, both she and Norwood follow roughly the same pattern. The only substantial difference is for broiler chickens and turkeys, which Shields rates as having the most wretched lives of all farm animals. Averaging Shields’ and Norwood’s scores together, we can assume that egg-laying hens and farm-raised fish probably endure the most suffering. When we consider how these animals are raised, it’s easy to see why. Egg-laying hens experience more than just very cramped cages. Their beaks are often partly seared off with a laser, and many hens lose their feathers from constantly rubbing against the bars of their cages. Their feet become crippled from standing on wire-mesh flooring their whole life. Farm-raised fish are penned in densely packed, waste-filled pools. Up to a third of them die slowly from disease or parasites. Some have their face or flesh chewed off by sea lice. Because the close confinement increases aggression, some fishes’ fins, tails, or eyes are bitten off and out by other fish. Pigs and chickens raised for meat follow next on the scale of affliction. Both species are crammed into indoor pens or sheds with little room to move around. Sows are enclosed for most of their lives in cages so small they cannot turn around. Many meat-chickens (known as broilers) experience crippling leg disorders, heart attacks, and other painful ailments as a result of being bred to grow so large, so quickly. Hundreds of millions of them expire on the floors of their sheds, not even making it to the slaughterhouse. Both Norwood and Shields agree that cows used by the dairy and beef industries endure the least painful lives. Even though they are abused in many ways, overall, cows undergo far less torment than chickens, farm-raised fish, and pigs. Having considered how grievously each type of farm animal suffers, how many of them do so, and for how long, one thing becomes clear: vegetarian advocates should focus on getting the public to cut out chicken, farm-raised fish, and eggs. When we look at the days of suffering that farm animals bear for the average meat-eater, there’s no contest. Chickens and fish account for 92 percent of those days of suffering. Turkeys make up a modest 4 percent, and pigs a mere 3 percent. Cows, both beef and dairy combined, make up just 1 percent of the number. If we look at the total number of farm animals raised and killed, the proportions are almost identical. Chickens and fish account for 95 percent of farm animals butchered. Turkeys make up just 3 percent, pigs are 1.5 percent, and cows represent just 0.5 percent of all animals killed. The simple truth is that chickens and farm-raised fish probably lead the most miserable lives of any farm animal. To the extent that promoting vegetarianism means encouraging a diet that is kind toward animals, one can argue that virtually all that matters is getting the public to cut out or cut back on eating chickens, farm-raised fish, and eggs. Nearly all of the good that a vegan or vegetarian does for farm animals comes from removing chicken, farm-raised fish, and eggs from their diet. Pork and turkey represent only small slices of the pie of suffering. Beef and dairy are statistically almost insignificant. This holds true both for the amount of misery cows undergo, how long they endure it for, and the numbers of animals that are affected.